Egypt agreed with Saudi Arabia to borrow $1.5 billion to develop the Sinai Peninsula, $1.2 billion to finance oil purchases over coming three months, Egyptian International Cooperation Minister Sahar Nasr said on Monday. Another $1.5 billion in loans for Egypt’s Sinai development over five years were announced in December to be negotiated with the Kuwait Fund for Development, the Abu Dhabi Fund, the Arab Fund for Economic and Social Development and the Islamic Development Fund. Negotiations with the oil-rich kingdom are ongoing to agree on financing Egypt’s oil purchases within the coming five years, Nasr told Ahram Online via text message from the Saudi capital Ryiadh, where she arrived to chair the third meeting of the Egyptian-Saudi coordination Council. 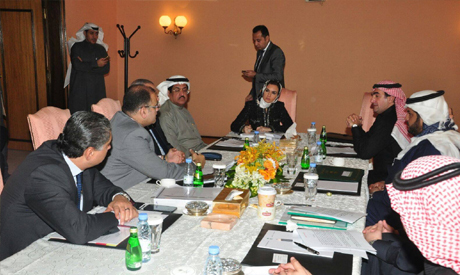 The council’s fourth meeting is scheduled to be held in Cairo on 24 January, according to the minister. Nasr said to urge the Saudi Public Investment Fund to quicken injecting 30 billion riyals ($8 billion) in new investments in Egypt’s sectors of housing, energy and tourism that were pledged by Deputy Crown Prince and Defense Minister Mohammed bin Salman last month. Saudi Arabia has supported Cairo with billions of dollars in aid, grants, and cash deposits after the 2013 ouster of president Mohamed Morsi to help buoy the country's economy after several years of political upheaval sent foreign reserves tumbling. Egypt's net foreign reserves stood at $16.4 billion at the end of November. Switzerland or Colorado? This is Egypt, where 90% of the scares funding either goes to military toys, bridges to nowhere, or invisible pockets! Considering the situation that Saudi finds itself in, Egypt has leverage to ask for more $$$, and not in the form of loans, but grants. It is Egypt with the demographic power to shore up the Gulf. It is Egypt with the military power to defend the Gulf. It is Egypt with the diplomatic power to heal the region. NOT SAUDI. Egypt needs economic help. If it wasn't for Egypt's economy, Egypt could play a more positive role in the region. Egypt should not be beholden to any other nation. Egypt should lead, not follow. Egypt could be the leader of the Middle East, but to do so, it must reform its own economy and take responsibility for its problems. Grow your economy. No country became great by begging.